In the immortal words of the philosopher Kanye West "No one man should have all that power" - we disagree, which is why we stock the latest generators from world leading manufacturers. 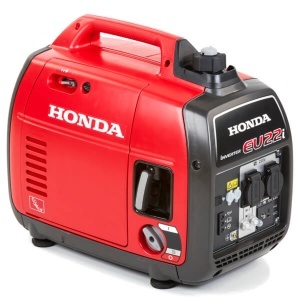 Petrol generators offer a fast, powerful and ultimately convenient way to power your tools and appliances - no longer are you limited by wall sockets or short-life battery products. 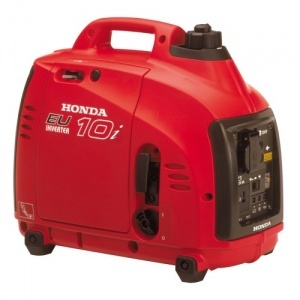 We offer a great range of generators, from lightweight, portable models to heavier, more robust units ideal for work sites. If you have any questions, be sure to contact our sales team for advice. 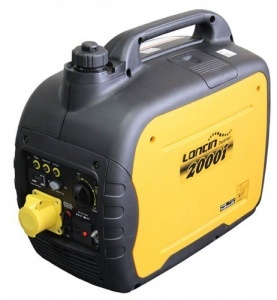 The Loncin LC2500-AS is an affordable portable 2000 W petrol design, which is powered by a Loncin G200F 196cc four stroke OHV engine that is reliable and features low emissions. 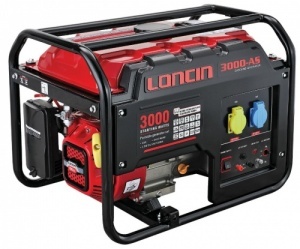 The Loncin LC3000-AS is an affordable portable 2200 W petrol design, which is powered by a Loncin G200F 196cc four stroke OHV engine that is reliable and features low emissions. The Loncin LC2000I is powered by a Loncin LC148F 79cc four stroke OHV engine that features low emissions. 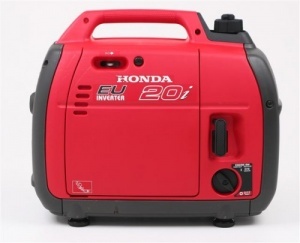 Includes inverter technology, giving you a stable power output. 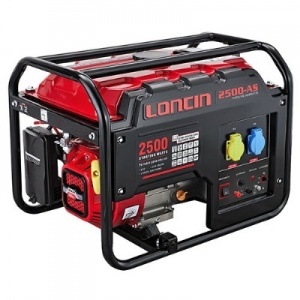 The Loncin LC6500D is an affordable portable 5000 W petrol design, which is powered by a Loncin G200F 196cc four stroke OHV engine that is reliable and features low emissions. Features include an easy to start commercial grade GX Range 4-Stroke engine, which is ultra reliable, and also a 5.3 litre fuel tank that will provide 3600 W of maximum output. 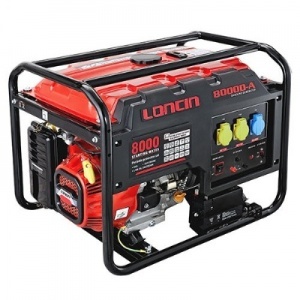 The Loncin LC8000D is an affordable portable 6000 W petrol design, which is powered by a Loncin G200F 196cc four stroke OHV engine that is reliable and features low emissions. 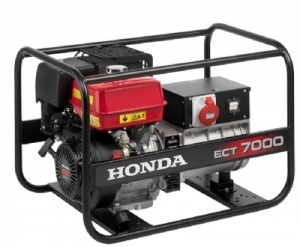 The Honda EU20i generators have revolutionized the choices for consumers seeking energy self-sufficiency. 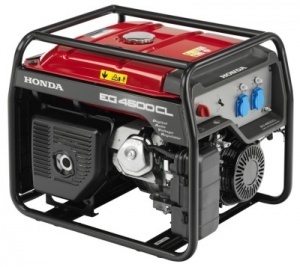 It provides clean power, producing a maximum of 2000 W.
Features a 5000 W maximum output, and an easy to start commercial grade GX Range 4-Stroke engine, which are well proven, with an oil alert system. 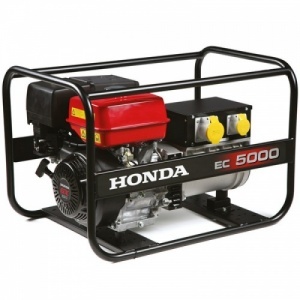 Features a 7000 W maximum output, an oil alert system, and an easy to start commercial grade GX Range 4-Stroke engine, which is well proven. 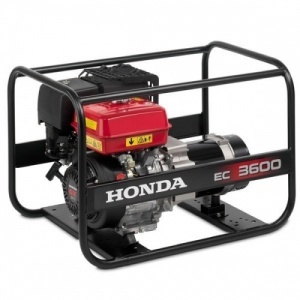 Fitted with the tried and tested commercial quality Honda GX340 OHV engine with an oil alert system. Comes with a large 24 litre fuel tank. 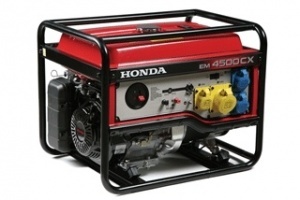 The Honda EM4500S offers the user a high output, and a long running time. Featuring electronic ignition, and provides a maximum of 4500 W of power. 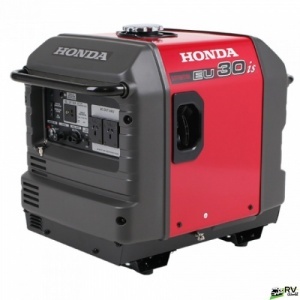 Honda EU30is is a highly maneuverable, high-tech generator with a maximum output of 3000 W. It's compact, lightweight, and quiet with inverter technology.